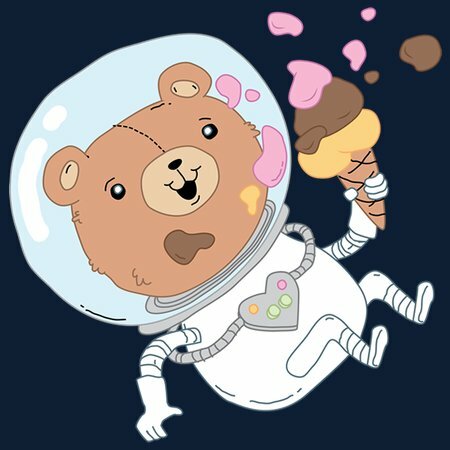 The first bear astronauts were known for having a terrific sense of style, and for their undying love of ice cream. But the Ursine Space Administration had yet to install ice cream cone accessible hatches into their space helmets, so those poor little bears were left with a mess on their visor and a grumble in their tummy. 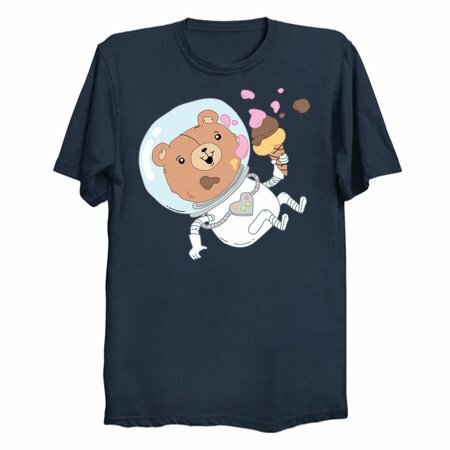 Now that spacesuit ice cream technology has advanced, and bears no longer have to go on space walks without a scoop of their favorite flavor in hand, the Ursine Space Administration is thriving, and bears of all shapes and sizes dream about the day they’ll get to play amongst the stars. It’s good to have dreams, little bear!